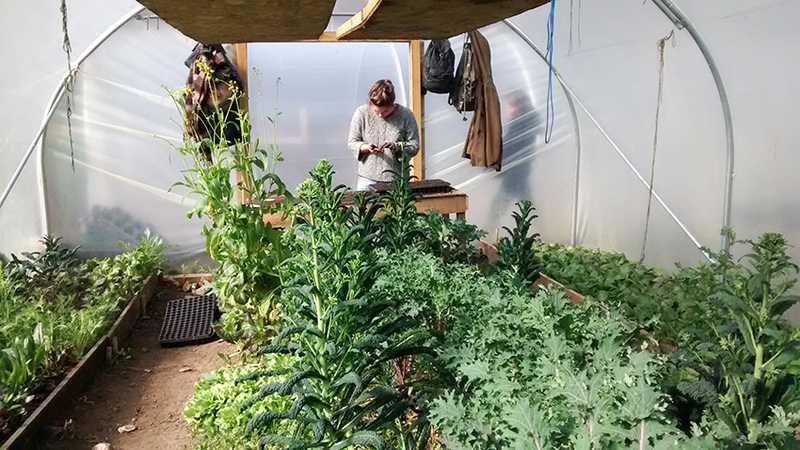 CFGN recently went to meet Keats Community Organics in Welling, South London. Jack, Christina and Ed who set up Keats had been involved in ‘Food from the Sky’ where CFGN had held our Spring gathering in 2013. 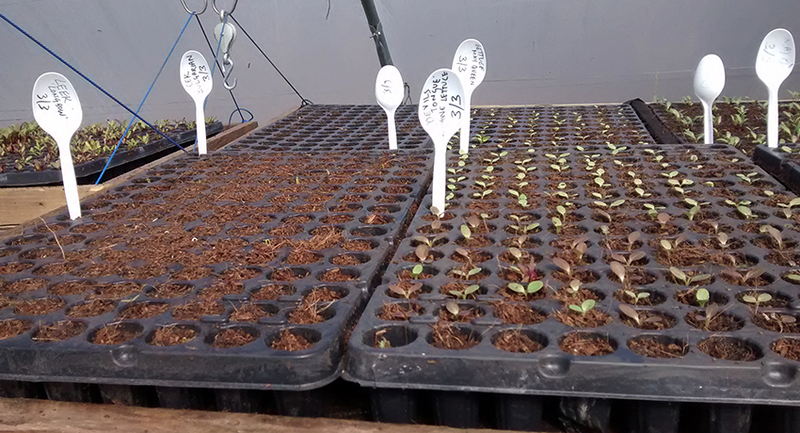 As Keats was established in April last year we wanted to find out how the new garden was coming on and see if there were ways a network of growers could support the project’s next steps. 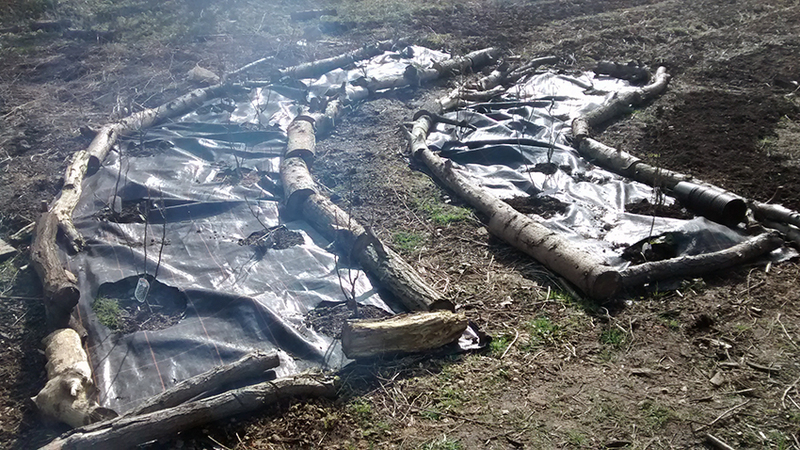 It is clear to see when entering the site that Jack and Christina, who are the main staff, with four regular volunteers, two new apprentices and 12 people working on a neighbouring community allotment space.. have been very busy on the acre and a half plot! 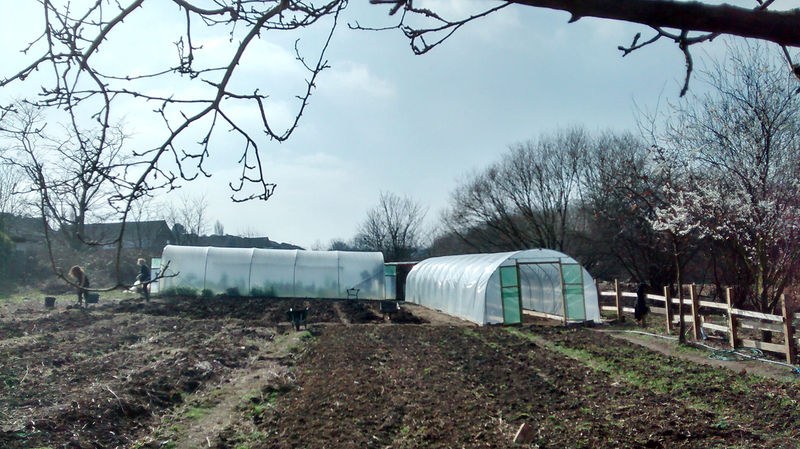 There are two polytunnels with winter salads and crops bursting from the edges, and on the Friday we visited the main task was to break new ground for this year’s summer season. Keats produce is Soil Association certified and they use organic methods with a no-dig approach once soil has been aerated. Alot of the produce goes into a box scheme which they partner with the Greenwich Co-operative Agency. Dig This Nursery who work with schools in the New Cross area also supports the project. A successful crowd-funding campaign and some start-up funding enabled Keats to get growing last year. 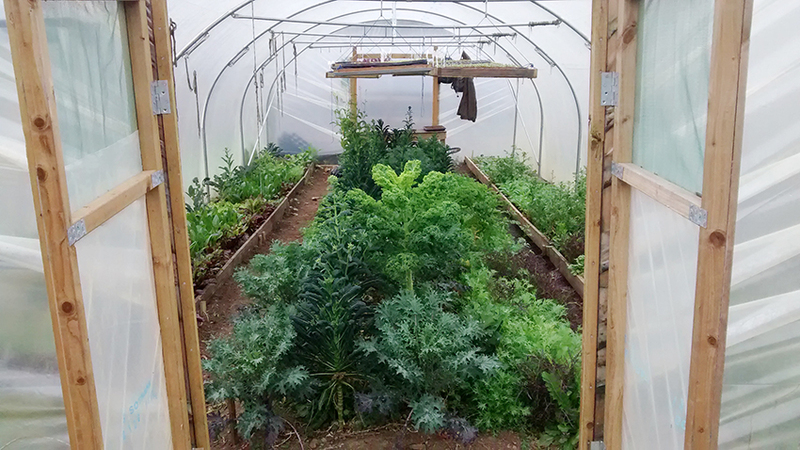 The site is used to support horticultural therapy, and drug & alcohol rehabilitation, as well as producing fresh local organic fruit and vegetables with the local community. As well as discussing questions for the map of community food growing projects CFGN is currently working on- we also explored ideas for the network that will be taken to the Spring Gathering on the 4th of April at ‘Living Under One Sun’ in Tottenham. These included the potential in growing apprentices having the opportunity to experience different food growing sites in the network as part of their training. 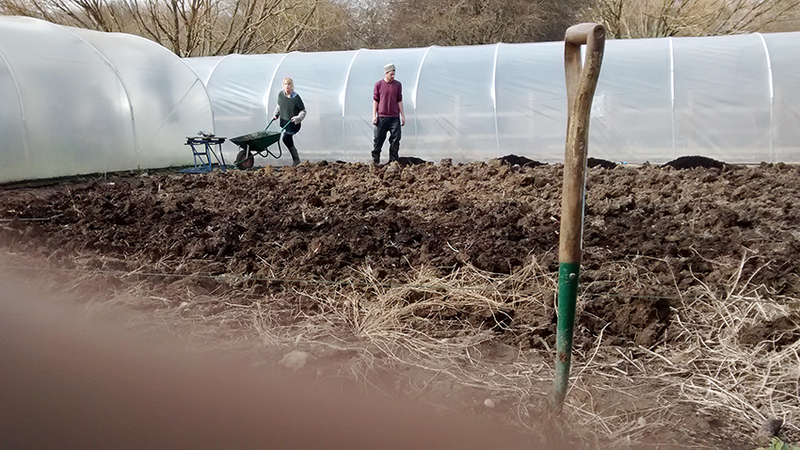 And also looking at how we can use our different experiences in community-food problem solving; whether it is building a volunteer base, gaining access to machinery, finding good sources of organic matter, for example. Thanks to Jack and Christina for hosting, and providing a great lunch! And if you want to get involved in Keats then you can find project updates here.